We find ourselves currently in the middle of the worst housing crisis in the history of the state, with a government that is entirely focused on market-based solutions to this crisis. We in People Before Profit consistently argue and campaign against this approach and for a radical change in housing policy in Ireland. We believe that the construction of small social housing infills is a completely inadequate response to the housing crisis and have demanded through a motion passed by the council in November that the council management bring forward large sites to councillors for public housing. We also think that it can be hugely problematic to build infill housing where it reduces green spaces or amenities. While the site in Balgaddy is not currently in use, there are a number of legacy issues in the general Balgaddy area which need to be addressed if new units are to be constructed. Community facilities. There are a number of smaller community facilities in the general area, however there is no dedicated community centre for local residents and groups. With over 2 000 residents in what is generally regarded as Balgaddy (Foxdene, Meile An Ri, Tor an Ri, Buirgh an Ri) and another 800 or so households in the private estate of Foxborough with a large number of children and teenagers, the existing facilities are not fit for purpose. A large multi-purpose community centre (along the size of Rowlagh CC or Quarryvale CC) with at least a large hall and meetings rooms which could also incorporate the Youth Service would be the most appropriate proposal. The facilities included in the Part 8 plan is totally inadequate for the needs of the existing and proposed new community. The location of the proposed community centre close to Tar an Ri is welcomed. Existing social housing maintenance. People Before Profit have in the past played a big part in fighting for council tenants in Balgaddy who have suffered from the poor construction of the housing in Balgaddy. While some issues identified have been resolved there are still many remaining issues. They include but are not limited to maintenance of indoor communal areas such as painting, broken letterboxes etc, maintenance and cleansing of communal outdoor areas and condensation and mould in housing units. Overcrowding. A number of tenants are living in overcrowded conditions and are currently on the transfer list. Due to the poor design of some units there are units that are below today’s building standards in terms of floor space and storage space. Existing tenants on the transfer list should be offered transfers to the new units. 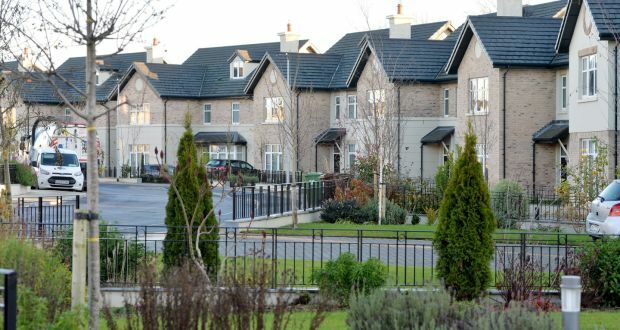 We welcome commitments given by South Dublin County Council management to deal with some of the issues outlined particularly in relation to maintenance of communal areas, ongoing maintenance of housing units and supporting the newly founded Balgaddy Residents Association. It is absolutely crucial that SDCC honour these commitments not only in the short term but in the long term. If the issues above are adequately addressed, particularly in relation to the community centre, this development could be hugely positive for the area and give residents in Balgaddy a new start. People Before Profit supports the demands made by the Balgaddy Residents Association in their submission.